YOKOSUKA, Japan - USS Ronald Reagan (CVN 76), the Navy’s forward-deployed aircraft carrier, entered its fourth week of a scheduled ship’s restricted availability (SRA) maintenance period, Jan. 29. During the SRA period, teams of Sailors and workers from Puget Sound Naval Shipyard (PSNS), U.S. Naval Ship Repair Facility and Japan Regional Maintenance Center (SRF-JRMC) are working together on a variety of maintenance projects, repairs and alterations designed to ensure Ronald Reagan is 100-percent ready to support operational commitments. Donnelly said progress is carefully measured to ensure opportunities to complete all projects within the SRA timeline and with the highest standards. 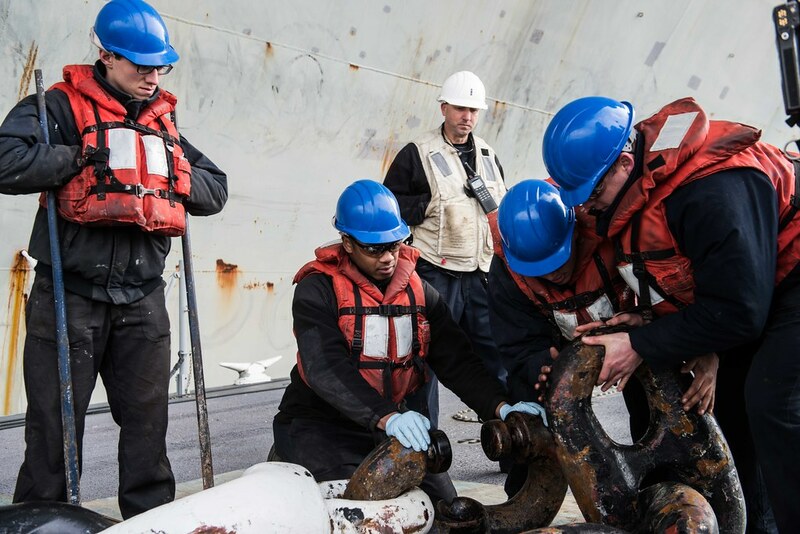 With planned projects totaling more than 99,000 man-hours of work for the ship’s crew, safety and the proper wear of protective equipment is a focal point of the ship’s SRA. Each week, the ship recognizes Sailors and contractors who have accomplished their designated tasks while following all proper procedures. During the 120 days of SRA, repairs and alterations will be conducted on two aircraft elevators, the pilothouse and a significant portion of the flight deck. PSNS also has important maintenance scheduled for the propulsion plant system.